High TOC levels in soil can prevent the anaerobic digestion process and limit the Nitrogen enrichment in the subsoil. Via the traditional high temperature combustion (TC) and the acidification (IC) methods, the TOC value determined, is actually the sum of TOC + TEC, instead of TOC only. To determine the potential risk for example in waste disposal the TOC value (without TEC) is decisive. The Skalar PrimacsSNC-100 offers several traditional methods for determining TOC/TN and additionally a temperature ramping program allowing for the analysis of TOC, TEC and TIC separately, according to DIN 19539 which perfectly suits this application. 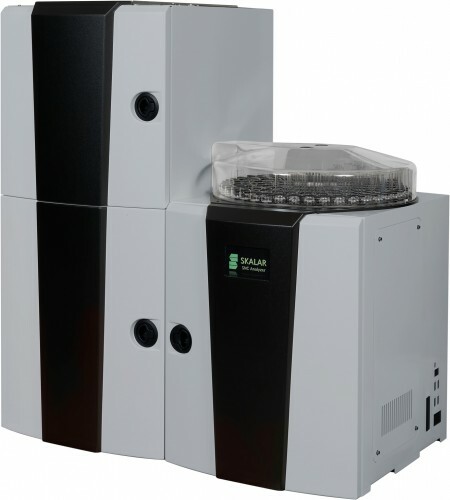 The analyzer can measure Carbon as Total Carbon or differentiate Carbon as Organic (TOC400), Elemental (ROC) and Inorganic Carbon (TIC900) . 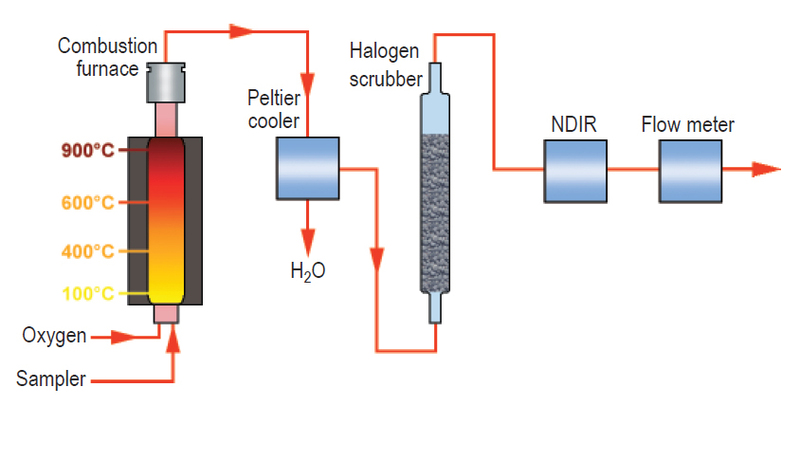 The analyzer uses high temperature catalytic combustion with a temperature ramping program. The vertical sample introduction autosampler automatically moves the samples to the different temperature zones in the combustion furnace. Each zone corresponds to a different temperature which results in values for TOC400 at 400 °C, ROC at 600 °C and TIC900 at 900°C. The advantage of this unique patented Skalar technique is that it is very fast, because there is no need to heat or cool down the furnace. Application area: soil, waste, solid environmental samples etc. For more information about this specific application on the PrimacsSNC-100 analyzer or other applications please feel free to contact Skalar.